Ideally located in the heart of the Massif de l 'Oisans and the Ecrins National Park in the high altitude resort of Deux-Alpes. 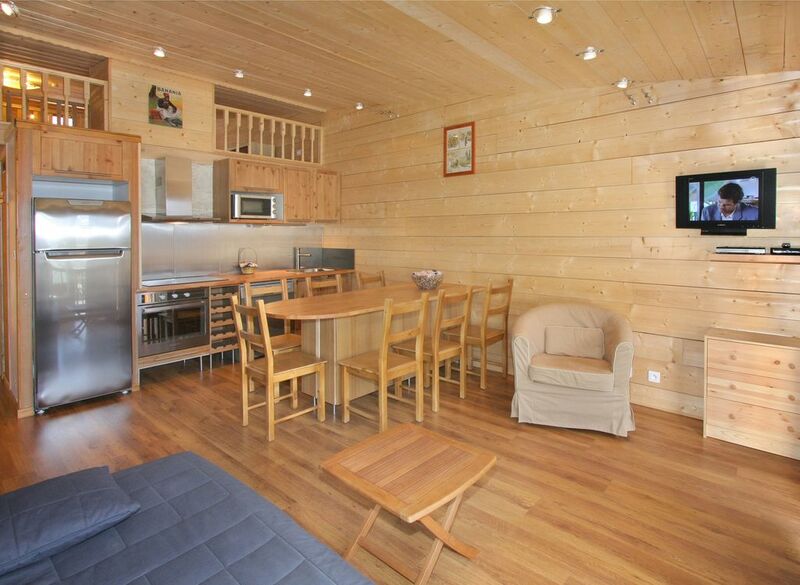 Apartment completely renovated, tastefully decorated the foot of the slopes with panoramic views of the mountains, offers all the comfort and the calm necessary for a successful stay in altitude.Label 2 Alpes Quality, 3 keys vacation classified Catering. "TOUT ETAIT IMPECCABLE, TRES BON ACCUEIL,LOCATION CONFORME A L ANNONCE"
"Appartement propre et tres bien équipé, calme avec une vue magnifique et proche des pistes ; nous avons passé une semaine magnifique dans cet appartement." From Grenoble follow directions station de l' Oisans- Briançon. Preferential rates on rentals sports shop. Owner ski instructor.